This week we will focus on the various ways in which files can shared using the iPads built-In sharing features. The content will be split into multiple posts, so stay tuned over the coming weeks for more. After all the posts have been released, the content will be combined into a larger, more complete, “how-to” article. This week, we’re going to look at iPad sharing via Airdrop, iCloud, and Email. Next week we’ll look at sharing via PC(iTunes and direct connection), iMessage, and the Leef iBridge. First, it’s important to learn to recognize and the share symbol, and to identify the location of the share option when preparing to share a file. This is the share symbol, and it’ll always appear on the top right corner of the screen when viewing a shareable file. Sharing via AirDrop is probably the easiest method of sharing files between devices, however, this method only works when sharing between IOS devices, i.e., iPad, iPhone, and Mac computer.To turn on AirDrop, or to adjust who you want to share with, go to Settings > General > AirDrop. To share via AirDrop, select a file, tap on the share button, and select the device you want to AirDrop to. The device must be running IOS and will need to be within a 30-foot range. 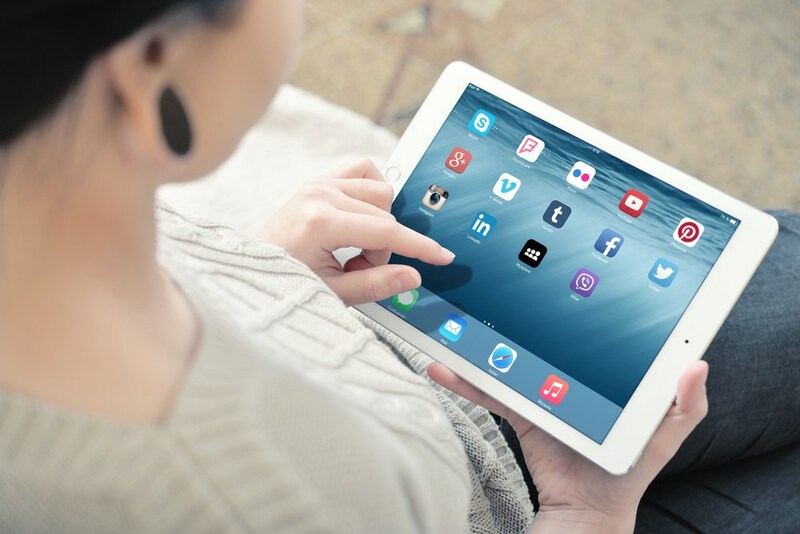 Setting up your iPad so that it automatically saves images to the cloud is a great way of ensuring that your photos will always be backed up. Plus, saving photos to the cloud instead of using the iPad’s physical storage will help optimize your iPad’s storage capacity. To learn how to set up your iCloud photo library, click here. To share an individual picture to a cloud-based service such as Google Drive, OneDrive, or Dropbox, select a file, tap on the share button, then select the cloud service of your choice. If you haven’t yet shared a file via cloud, you will need to tap on More (…) and enable the cloud service of your choosing. To enable, simply tap on the toggle to the right so that it’s showing green. Once you activate the cloud service(s) of your choosing, hit “Done” on the upper right corner of the “Activities” window. Now, select the file again and hit “Share”. The newly activated cloud service(s) will now be made available as a sharing option. When you tap on any of these options, you’ll be prompted to sign in. Once you’ve signed in, your file will be saved to the cloud and can then be accessed via any device. Note: If you’ve never accessed these services, you’ll have to create an account first. To create an account via these services, click on the links provided at the beginning of this paragraph. Sharing files via email is efficient, and very easy to do, especially since most IOS users already have an email account associated with their device. To share via email, select the file, hit the Share button, and select Mail. Your file will automatically attach itself to an email associated with your attached email account. Simply fill out the “To:” and “Subject:” fields and hit send. The email and file will then be instantly sent to the recipient of your choice. Note: To set up an email account through the built in Mail app, you’ll have to add your account via Settings > Passwords and Accounts> Add Account. To see a more detailed description of that process, click here.